When I look at this question, I see the answer in two parts: 1) what kind of lifestyle do you want? 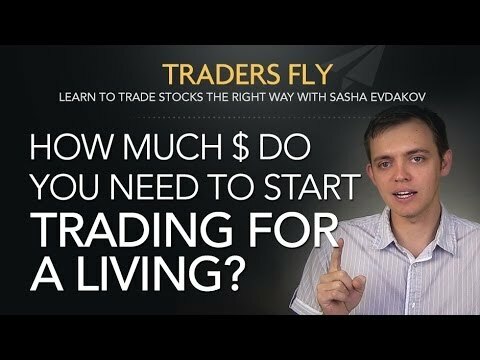 and 2) how much money do you need to start trading to get to that lifestyle? You will first need to answer this question before moving on to the next. Do you want to party 5 nights a week and spend $200 a night? Do you want to live in a $5 million mansion? Maybe you just want to be a stay-at-home parent who has a few hundred dollars a month to help support your family.